New York (CNN Business)SpaceX's Crew Dragon capsule, its first spacecraft designed to carry humans, took flight for the first time Saturday. An uncrewed demonstration mission took off from Kennedy Space Center in Florida early Saturday, en route to the International Space Station. The successful launch without people puts SpaceX one step closer to an historic landmark: Crew Dragon could be the first commercially built spacecraft to carry NASA astronauts to orbit. And Crew Dragon — along with a capsule called Starliner built by Boeing — could end the United States' decade-long reliance on Russia for human spaceflight. Elon Musk, SpaceX's chief executive and lead designer, told a crowd of reporters that he was "emotionally exhausted" after launch. His rocket company's main goal since it was founded in 2002 was to someday send humans to space. "It's been 17 years to get to this point," he said. It took "an incredible amount of hard work and sacrifice from a lot of people to get to this point." "It was super stressful, but it worked — so far. We have to dock with the station, and we have to come back," he added of the Crew Dragon launch, but some of the "riskiest" hurdles have been cleared. SpaceX's capsule, carrying a dummy called Ripley, named for the "Alien" protagonist Ellen Ripley is expected to dock Sunday at the International Space Station, which flies about 254 miles above Earth at tremendous speeds: about 10 times faster than a bullet. There, it will drop off about 400 pounds of supplies before it flies back home five days later. SpaceX also dropped in a plush toy globe that flew around the cabin during flight to demonstrate when the capsule is in zero gravity. This marks the first and only demo mission that Crew Dragon will fly without humans on board. If all goes well, the capsule design will undergo a few more reviews and safety checks, and it could be ready to fly two NASA astronauts to the space station in July, based on the space agency's current timeline. After the Space Shuttle program retired in 2011, NASA turned for the first time to the private sector to build the next generation of human spaceflight hardware. SpaceX and Boeing (BA) have contracts worth up to $2.6 billion and $4.2 billion, respectively. Both project have been beleaguered with delays, and NASA and its oversight regulators have raised safety concerns that will have to be resolved before humans set foot on either spacecraft. Meanwhile, NASA has paid Russia about $80 million per seat to send US astronauts to space aboard Soyuz rockets — a fact that isn't very popular in the halls of Congress. Those Soyuz contracts were set to run out in 2019 and NASA recently moved to secure a couple more seats for late 2019 and the spring of 2020 in case Boeing and SpaceX aren't ready this year. The space agency said in a statement last month that it has "confidence" the companies will be ready in 2019 and said the additional Soyuz contracts are meant to provide "flexibility and back-up" options. The companies can still launch people this year — but things will have to go smoothly. SpaceX aced a key NASA review ahead of Saturday's launch. 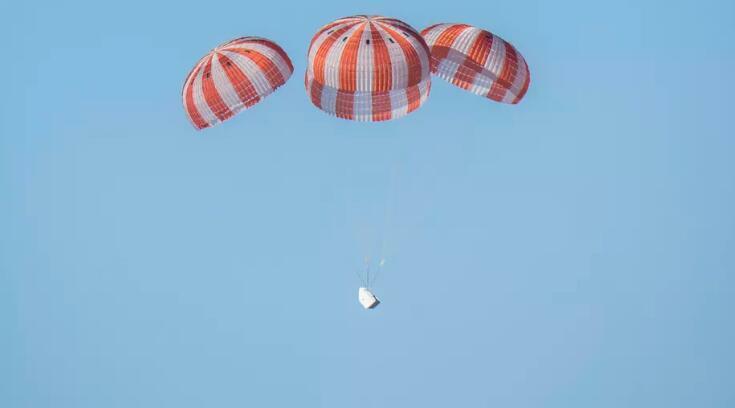 If all goes well during the demo mission, the company will conduct a test on Crew Dragon's emergency abort systems in June. More safety checks are also in store. SpaceX's first crewed mission, which will fly NASA astronauts Doug Hurley and Bob Behnken, could happen by July, according to NASA's most recent schedule. Boeing's Starliner is slated to fly its first demo mission without a crew no earlier than April. 小溪姐姐 2019-03-04 20:30:09 回复 悄悄话 為聞香的先生驕傲! 暖冬cool夏 2019-03-04 20:08:30 回复 悄悄话 闻香的先生在NASA工作，为Space X做过验证工作，这次Space X 还把他的脑电波带入太空，真可谓是参与了成功，见证了历史，为他骄傲! 小三儿她姐 2019-03-04 15:13:54 回复 悄悄话 wow, 太赞了!